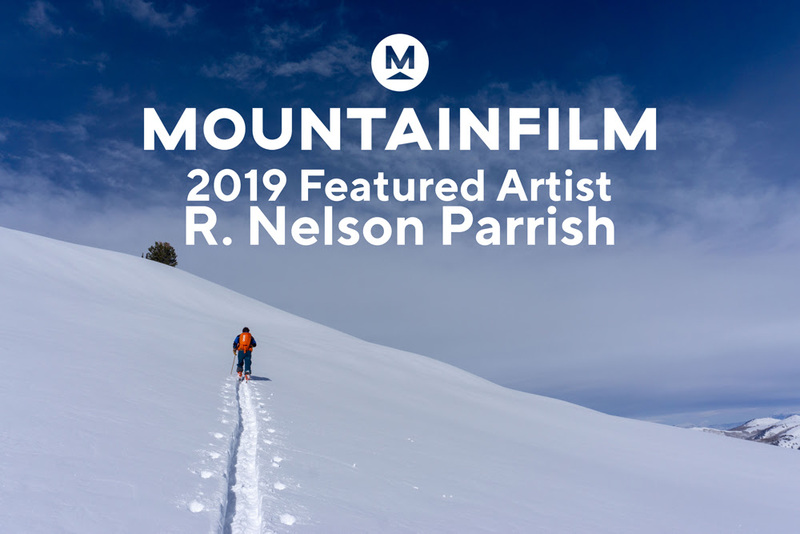 As a continuation of his “Light in the Canyon” series, R. Nelson Parrish will be debuting a new body of work during Mountainfilm 2019 in Telluride, Colorado. With the working title “RCKYMTHGH,” the new work pulls from the histories of both painting and photography of the American West, while simultaneously engaging with the concepts of reclamation, memory, and the tangibility of the ultimate ephemeral experience: Time. As Mountainfilm is a celebration of the indomitable sprit, Parrish uses these seemingly disparate histories to weave together a visual experience created by the spirituality of hard work. New works will include expansive abstract panoramic wall works, installations of flitches, ethereal voided totems and a cascade of remnants designed to enwrap audiences. Threading the needle between both painting and sculpture, the work includes a nod to German Romanticism, an homage to color and black and white photography along with debuting newly developed ombré techniques influenced by the Light and Space Movement. Developments of the upcoming exhibition will be updated on this website.